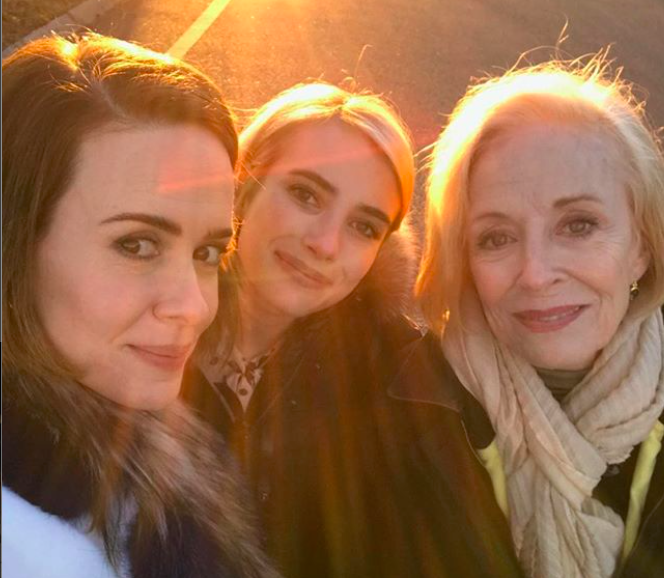 The "American Horror Story" cast spent Thanksgiving together, and what if that was just Season 8? Based on the giant dinner table in the background, we’re guessing it wasn’t just a dinner for the five of them, but we have so many questions, like…Was Billie Lourd there? What about Kathy Bates? Okay, were non-AHS ~regulars~ invited? Did anyone make any AHS: Thanksgiving jokes, but also low-key we’d watch that season. Try and forget how basic your own Thanksgiving gathering was and gaze upon the OG AHS crew enjoying turkey, stuffing, and pie in Murphy’s opulent house.